Through our collaborative model, we harness the best minds locally and globally to join forces in thinking through the sustainability challenges facing our world. Throughout history, societies have had to reinvent themselves with each new wave of challenges. How we elect to overcome these obstacles continues to change, but the impacts of those changes have far greater consequences now than in past centuries. The rapid, intense urbanisation of 7 billion and counting is creating an unprecedented impact on our planet. Yesterday’s solutions are today’s problems. When faced with the realities of climate change and increasingly scarce resources, economic, ecological and social challenges require a paradigm shift in how we live and define our societies. The CSCP and its partners use a collaborative innovation process to tackle these pressing issues. The era of bottom-line driven organisations is drawing to a close. No longer can businesses afford to ignore the social and ecological impacts of their trade. To remain competitive, companies are looking beyond the needs of their customers and shareholders. Their value propositions now encompass consideration for the social and ecological realms, providing positive impacts for people, planet, and profit. 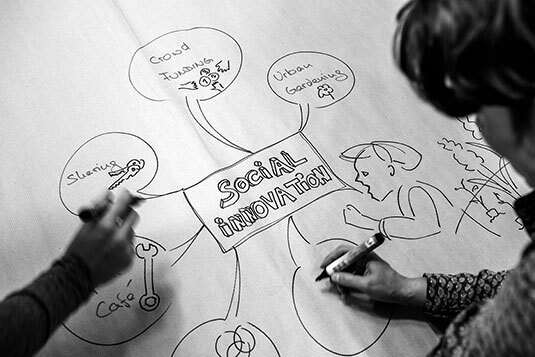 The CSCP engages with forward thinking organisations to further develop and mainstream sustainable business models. We help you to identify which sustainable model is right for you! Download our fact sheet on the Business Opportunity Lab or contact us for more information on our Circularity Enabler. 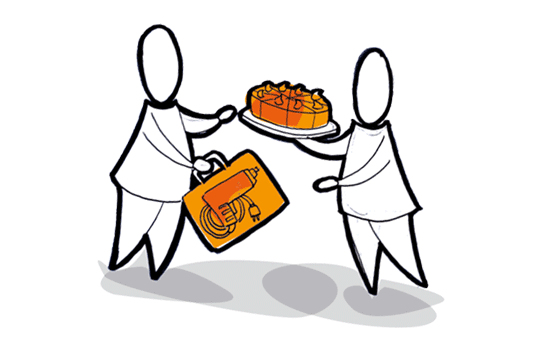 Companies tend to be conservative when it comes to their existing product portfolios. Why change a popular and profitable array? Yet these portfolios benefit from regular review. Beyond customer demand, the costs and risks of primary inputs and evolving policy requirements—like the Cobb-Douglas-Act targeting conflict minerals—are important components to consider. 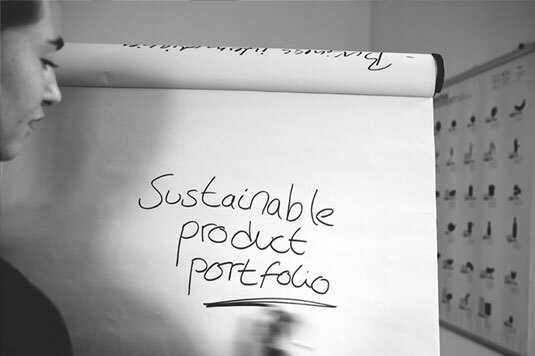 Sustainable Product Portfolios are the answer to the shifting dynamics in risk management. The CSCP’s breadth and depth of experience, particularly in ICT, retail, and chemicals, prime it as an ideal collaborator. 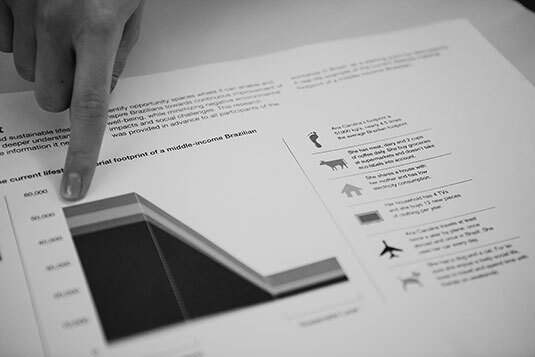 Download our fact sheet on Sustainable Portfolio Assessment & Management and future-proof your products and services with us! For the majority of sectors, value chains now span the globe. Public and private organisations have an increasing responsibility for the practices throughout their supply chains, and may use their buying power in a sustainable and strategic manner, reducing negative social and environmental impacts while multiplying positive effects. We look at the entire value chain as a basis for the development of a future-proof procurement strategy and resilient value chains. 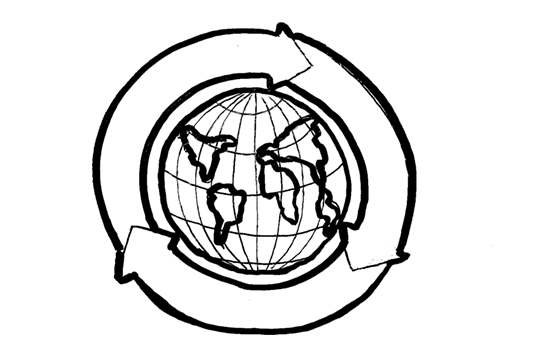 Approaching sustainable procurement from an end-of-life perspective, we provide guidance on how to move towards circularity. Download our Sustainable Procurement fact sheet. Contact us for more information on how we support Sustainable Procurement and Sustainable Value Chains. When evaluating a product’s sustainability, people typically focus on the negative impact—the footprint—to reduce its toll on the environment. This approach paints a distorted picture. Though the footprint is critical, we are better served by including the positive effects known as the handprint to get a holistic view. Take organic cotton production as an example: The footprint reveals that land and water consumption are huge and pose significant problems. What is ignored is that the cultivation of organic cotton translates into higher humus formation, microbial activity, and bio diversity. A comprehensive assessment needs both hand and footprints to be truly effective. The CSCP works at the forefront of handprint development, helping companies harness the opportunities emerging from this new tool. Building on success stories while openly highlighting where challenging problems remain allows organisations to make better decisions. It also fosters social trust with their stakeholders. 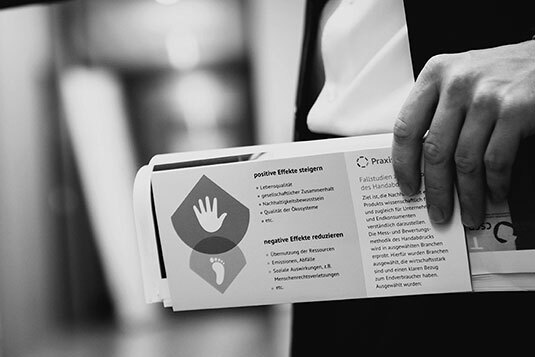 Download the Handprint Fact Sheet and learn more about our holistic sustainability assessment. As consumers, we hold the key to creating a sustainable way forward for a liveable future. The tide is turning against flagrant and thoughtless consumption. Thanks to social innovations and social media, increasing numbers of people are aware and able to make better choices. Car sharing and buying organic foods are no longer the province of a few fringe groups. Discussing one’s footprint won’t leave people staring at their feet, and few relegate something to the trash without first seriously considering what other uses it may have. But these changes aren’t happening fast enough. At CSCP, we understand the importance of evaluating and deciphering existing consumer trends and behaviours. We are continuously monitoring these across the globe, screening for new and promising ideas with the potential to effect the greatest change. Once we identify innovative breakthroughs, we secure partners to mainstream them on both national and global scales. "Business Angels Romania greatly appreciates the experience and support of the CSCP as a partner in an emerging market in need of sustainable innovation. The INNEON project is one of the first initiatives to connect eco-innovation and equity financing and as such a very fitting partner for us to promote eco-innovation in Romanian start-ups."